Crashed happened after its pilot, Lt Col Arthur “Bud” Holland, maneuvered the bomber beyond its operational limits and lost control. The aircraft stalled, fell to the ground and exploded, killing Holland and the other three field grade officers aboard. 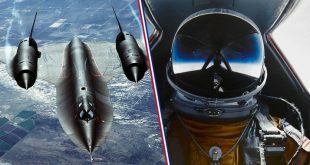 Holland’s personality and behavior, USAF leaders’ delayed or inadequate reactions to earlier incidents involving Holland, and the sequence of events during the aircraft’s final flight. It is also often used by the U.S. Armed Forces during aviation safety training as an example of the importance of compliance with safety regulations and correcting the behavior of anyone who violates safety procedures. on 24 June 1994, a USAF B-52H bomber crew stationed at Fairchild Air Force Base prepared to practice an aircraft demonstration flight for an airshow. weapon systems officer/radar navigator Lt Col Ken Huston (41). Holland was the designated aircraft commander for the flight, with McGeehan as the copilot and Wolff as a safety observer. The mission plan for the flight called for a demanding series of low-altitude passes, 60° banked turns, a steep climb, and a touch-and-go landing on Fairchild’s runway 23. The flight was also Wolff’s “fini flight” – a common tradition in which a retiring USAF aircrew member is met shortly after landing on his or her final flight at the airfield by relatives, friends, and coworkers, and doused with water. Thus, Wolff’s wife and many of his close friends were at the airfield to watch the flight and participate in the post-flight ceremony. The B-52 aircraft, callsign Czar 52, took off at 13:58 and completed most of the mission’s elements without incident. The aircraft was instructed to go around because a KC-135 aircraft had just landed and was on the runway. which was immediately granted by the tower controller. The B-52 then began the 360° left turn around the tower starting from about the midfield point of the runway. Located just behind the tower was an area of restricted airspace, reportedly because of a nuclear weapons storage facility. Holland flew the aircraft in an extremely tight, steeply banked turn while maintaining the low, 250-foot (75 m) AGL altitude. Approximately three-quarters of the way around the turn, at 14:16, the aircraft banked past 90°, descended rapidly, clipped power lines and hit the ground, exploding and killing the four crew members. it does not state whether or not he cleared the aircraft. Huston was also seated in an ejection seat and the medical statement indicated that he had not initiated the ejection sequence. Wolff’s seat was not ejection-capable.